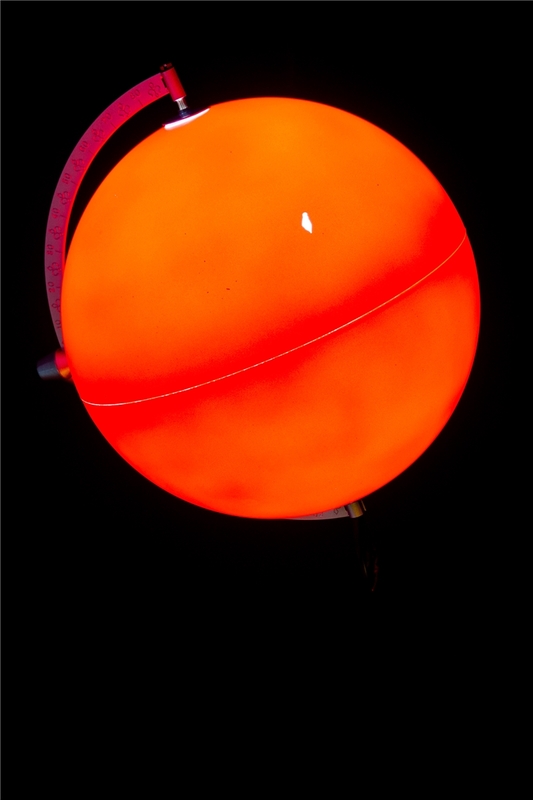 In 1988, Ingo Günther began working with atlas globes, recognizing its potential as an overlooked medium by which to communicate information about the entirety of the global condition. 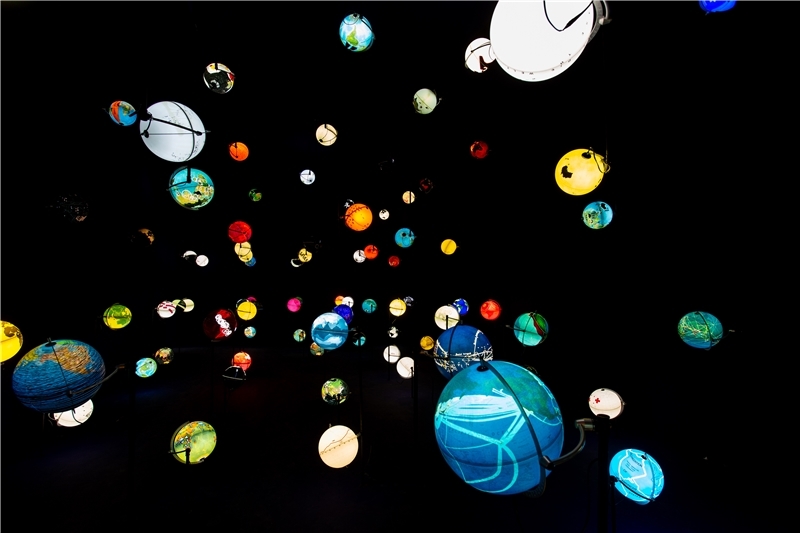 The earliest works in his Worldprocessor series explored the possibilities in mapping global data on a sphere: national health statistics, birth rates, military expenditure, drug routes, migration patterns, trade currents, submarine fiber optic networks and press freedom. Worldprocessor—now comprising over one thousand globes—aspires to improve our navigation of the world, both intellectually and emotionally. 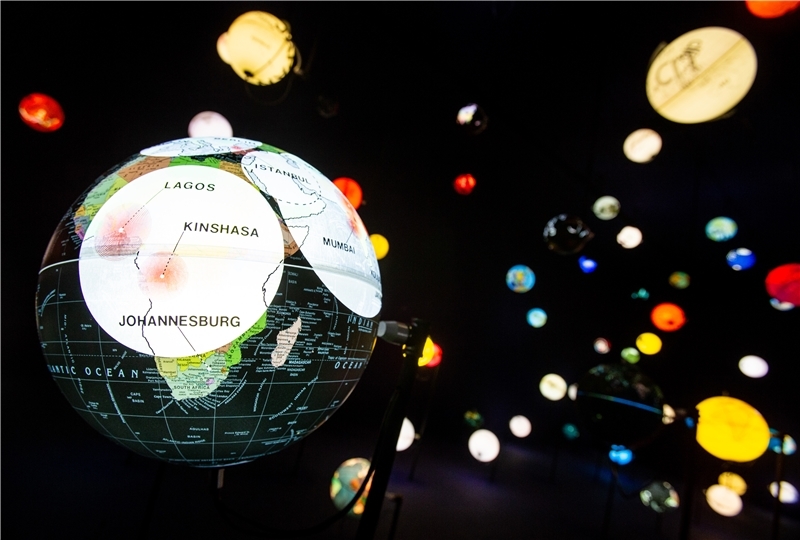 In reconfiguring its surface to be mapped by political, economic and social patterns, rather than colour-coded by nation states, Günther has updated the 500-year-old globe to reflect contemporary conditions of globalization. Worldprocessor is fundamentally a form of journalism, influenced by both scientific inquiry and the conceptual openness of art. Therefore, accuracy and objectivity are paramount, yet intuitively comprehensible visuals are equally important. 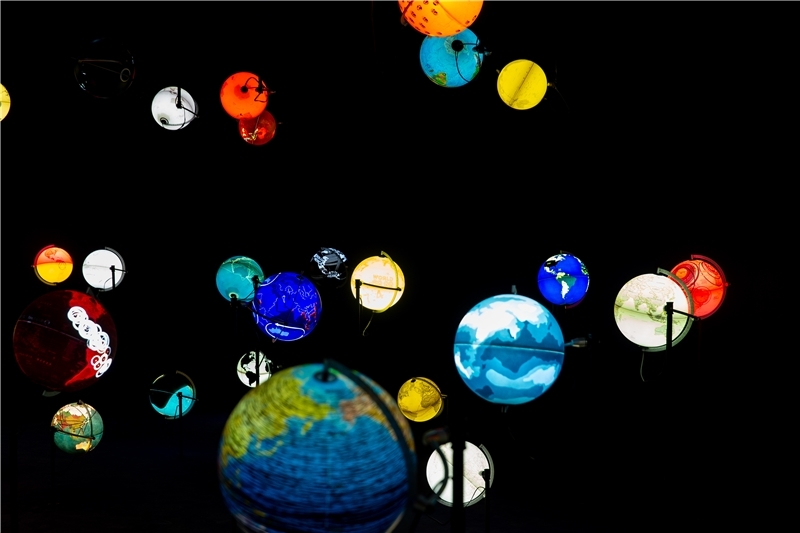 Günther formally develops each globe using publicly available and established data, though collating this is no simple task as statistical methods differ from culture to country, new regions lack their own historical statistics, and the artist often has to navigate misleading ‘dirty data’. Additionally, there is a time-lag on all data and considering how fast our world is changing, statistics are often outdated by the time they reach publication. Therefore, in recent years, Günther has come to the conclusion that standard historical data is not necessarily the best tool for projecting into our potential futures—due to increasingly drastic technological advancement, and climate change, we are not developing linearly. Therefore, Günther’s latest globes forecast ahead, informed by alternate forms of data extrapolation which use rival methodologies and result in contradictory prognoses. 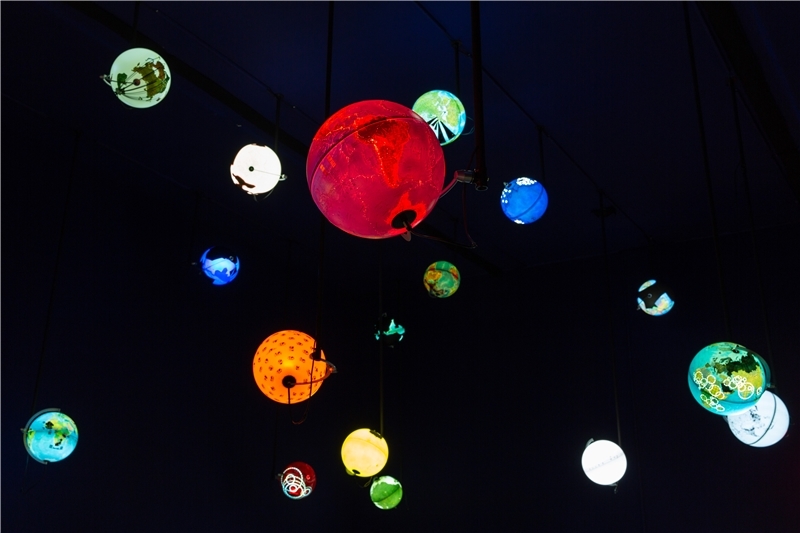 Installed as a series of nodes within a grid, Worldprocessor provides a macroscopic perspective of planetary pasts and futures, and acts as an interactive conversation piece to reflect the historical use of the spherical globe. Ingo Günther, born 1957 in Germany, lives and works in New York.